Happy Summer! This spring was full of fun, having wrapped up our gallery show and half marathon, it was time to plan our own wedding! We had the most amazing time with our family and friends- thanks to everyone who made it such a magical weekend. Directly afterwords, we grabbed our bags and headed to Mallorca, Barcelona, and The Azores. 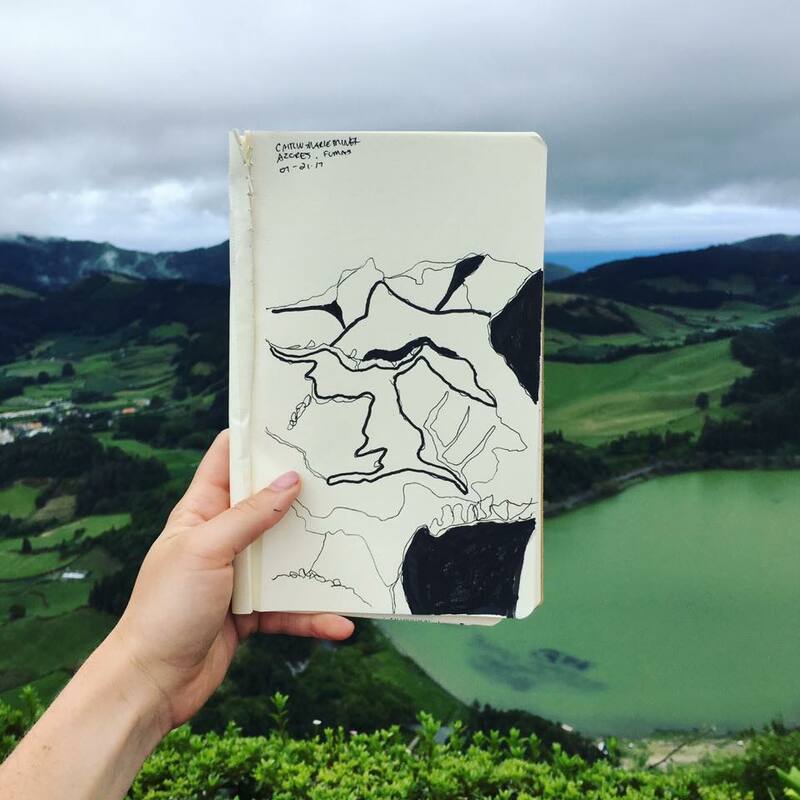 I was sure to pack my notebook and do some quick sketching along the way. Enjoy! What's next on our plate? We are gearing up for a second Noumenal Space gallery show this season. I'll also be sure to to share pictures of the printed material I designed for our wedding. Stay tuned!